Janette and I have been on a no carb/ no sugar diet for about a month now. Some people think no carbs = no fun when it comes to recipes, but I don’t think it has to be that way. Even when we eat healthy, it has to taste good. No “ifs”, “and’s”, or “buts” about it. We do not do bland food and neither should you! 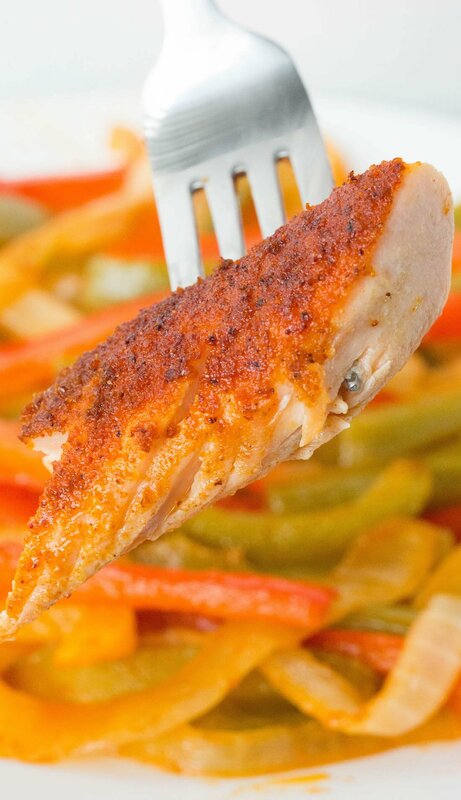 As I said in my Easy 3 Ingredient Blackened Chicken post, healthy recipes must have easy clean up to make the cut at our house. This salmon recipe is perfect for that because the salmon and veggies are made in the same pan. To make clean up even easier, I usually line the pan with foil. 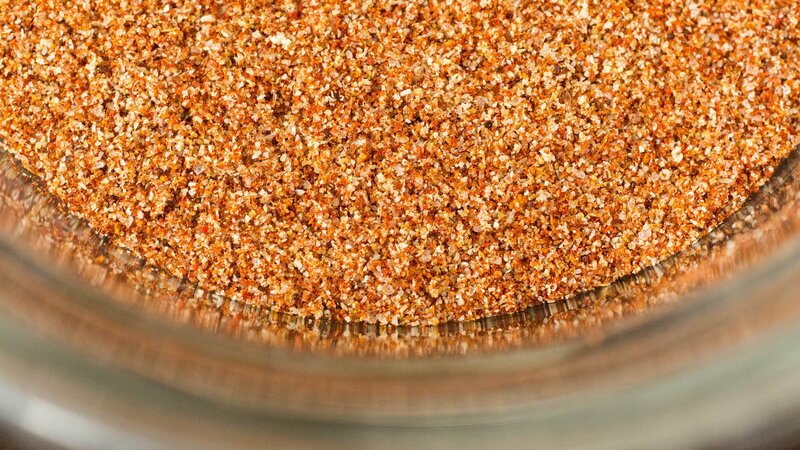 The fajita seasoning is relatively simple: cumin, paprika, onion powder, red cayenne pepper, chili powder, salt, and a little pepper. I usually make a big batch at once and store it in a mason jar in my pantry so it is already ready to go. The fewer steps to weeknight meals, the better! The peppers & onions get tossed with olive oil and some of the fajita seasoning. I finish them off by squeezing half a lime over the top, which really helps bring out their flavor. I always use an assortment of bell peppers because the colors are so fun! I also like the sweeter taste of the red and yellow varieties. Of course, if you want to use all green, that will work just fine too. I think white onions are the best choice for fajitas, but you can substitute a yellow onion if you want something more mild. I get a nice 2lb salmon fillet so that there will be enough for leftovers. Before covering in the fajita seasoning, you want to rub the salmon down with some olive oil. The salmon and peppers cook in the oven together in just 30-45 minutes! When it’s ready, just cut the fillet into portion sized pieces and serve with the peppers & onions. We usually save the leftovers and serve cold on a salad for lunch the next day. It also reheats easily if you’d rather have it warm. 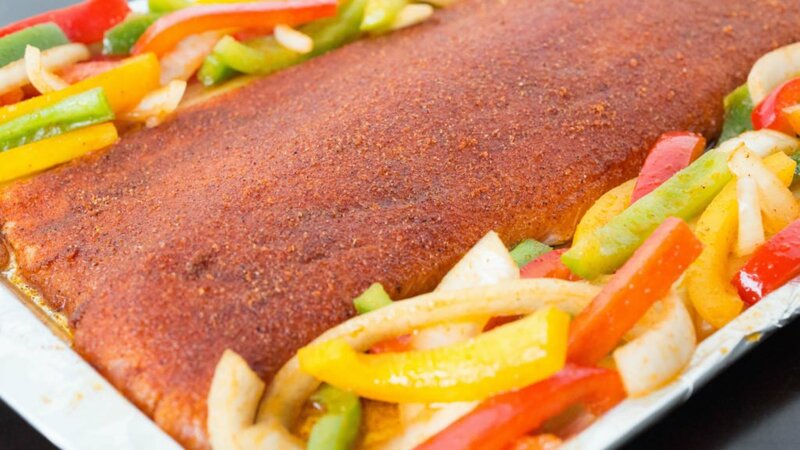 Whether you’re on a low-carb diet or just looking for some new and simple dinner ideas, we hope you enjoy our fajita salmon recipe. If you make it, please let us know how it turned out. Place salmon fillet on a baking sheet. Massage all over with 1 tablespoon of the olive oil. Mix all the seasonings together in a small bowl. 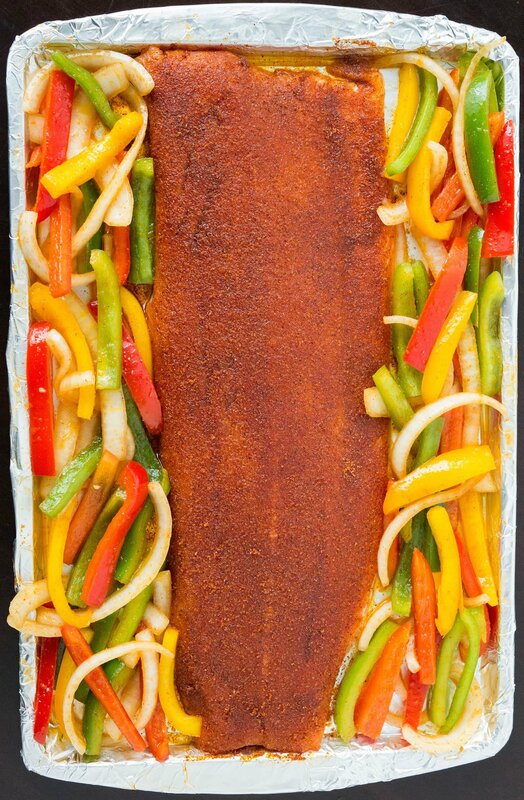 When they are well combined, rub the salmon all over with the mixture, reserving some for the vegetables. 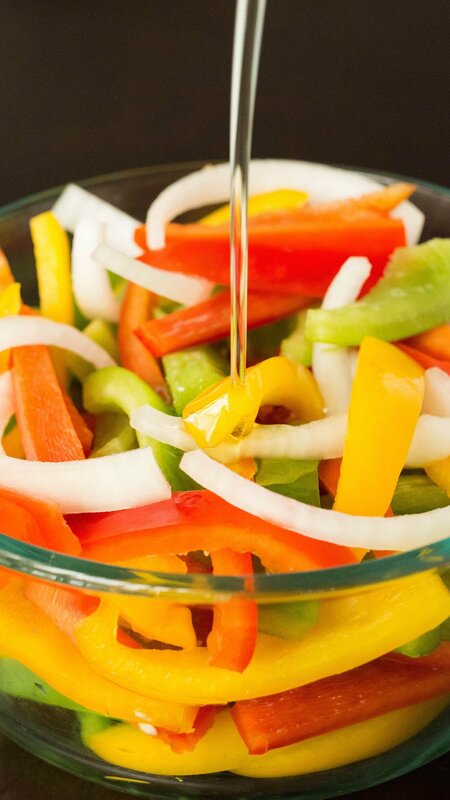 Place the peppers and onion in a small bowl and drizzle with olive oil. Sprinkle some of the remaining seasoning on them and toss to coat. Lay them on the baking sheet around the salmon. Cook the salmon and veggies pan for 25-45 minutes, until it flakes easily with a fork. Cut into portion size pieces and serve immediately. YUM! Gave me an idea for dinner tonight! Simple to make, flavorful, and healthy- sounds like the perfect dish! Love Salmon!